Viyella's Tartan Shirt is a fine quality cotton shirt perfect for all occasions. Viyella's Tartan Shirt is a fine quality cotton and wool mix shirt perfect for all occasions. 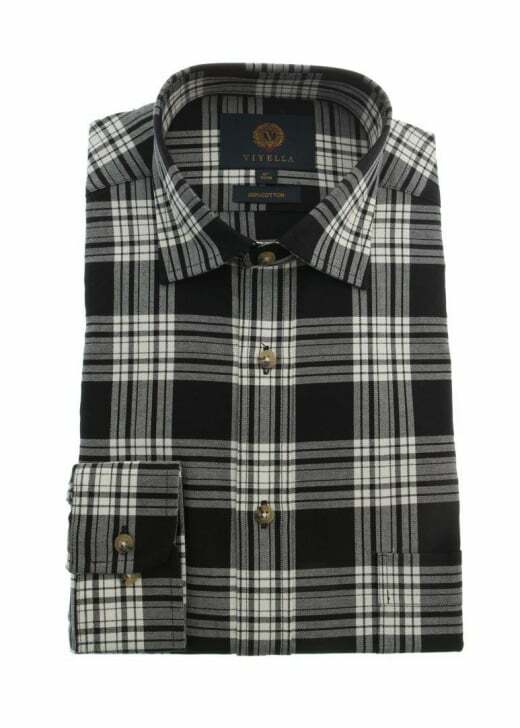 Designed with an attractive tartan check, this beautiful shirt features a chest pocket and relaxed, cut away collar to combine comfort and style in one great garment. Showing our 1 review for Viyella Tartan Shirt. The shirt that I was sent was very long in the body, yet there was no indication on the website that I was purchasing anything other than a standard body length shirt.